Personalized functional nutrition approach to optimal health! To develop successful personalized functional nutrition programs that support optimal health, it is essential to thoroughly assess the current health status of our clients. This allows us to set a baseline and health history to compare to over time. A thorough assessment may uncover developing health concerns that are not yet diagnosable, but we can make a plan using diet and smart supplementation to slow down or even stop their progression. The functional nutritionist wants to identify these issues and possible weaknesses in your biochemistry so that we can put you on a plan that is best for you. We want to get to the root cause of problems and consider all other facets of life that can have an impact on your health. I require most of my new clients to do the Initial Health Assessment with Functional Blood Chemistry Analysis. Even if you don't have major health concerns, there may be nuances about your biochemical makeup that you don't know about because you've never had such a comprehensive analysis. Many people are born with a polymorphisms (genetic variants) that affect their levels of some particular nutrients. For example, your genes might be why you have low vitamin D levels (an important nutrient). You may not know this if you never test your 25-Hydroxy-Vitamin D levels. Click on the BUY NOW button below for current pricing. Disclose medical history and any relevent details using our online metobolic assessment intake forms. This will help reveal your biggest health concerns, symptoms and complaints about your body. Includes 60 minutes of VIRTUAL consultation time with the clinical nutritionist to go over responses and possible nutritional issues as suggested by the written assessments. We will discuss a functional nutrition approach to supporting any already existing concerns and preventing the development of more chronic conditions in the future. Client will receive recommendations for changes in diet, supplements and lifestyle. And depending on the client's health concerns, some combination of functional nutrition metabolic restoration programs may be advised. Of consideration would be further health assessments, laboratory testing, personalized diet/eating approach and smart supplementation plan. 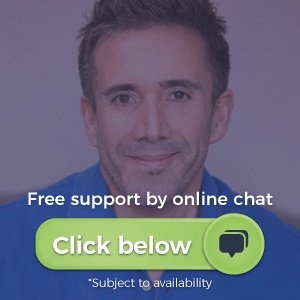 30 days ongoing support includes email or text responses to your quick questions when available. 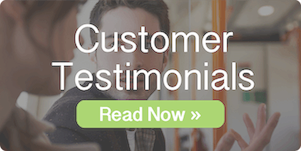 Client can always purchase follow-up consultation time as needed. There really is no better health assessment that is more efficient and effective than a comprehensive blood test. We have a long history of using blood markers for evaluating health status. It will also establish a baseline that can be used to track a person's health over time. 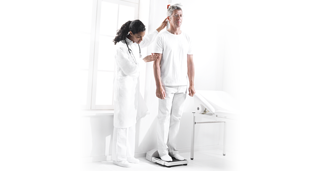 When added to the Initial Health Assessment (the above is included in this analysis as well) it provides both the nutrition professional and the client peace of mind knowing that a thorough screening has taken place. The study includes comprehensive blood panels (these alone could cost you over $1000 if you had to pay for them individually), a total health and nutrition analysis using results of the blood tests, urinalysis and results of the functional nutrition health assessments. And all this is delivered to the client in a complete Functional Health Report with detailed nutritional recommendations including diet and smart supplements. Have your blood tests analyzed for optimal nutritional levels and take a preventative approach to your health and vitality. Depending on whether the client came with some already diagnosed chronic conditions, or the initial health assessments show a need to further explore what is underlying the symptoms reported, some of the following tests may be suggested. At this point the client may also be referred to a more qualified practitioner or specialist. The more valuable information that is obtained, the clearer the picture of the efficiency of the metabolic functions of the body. 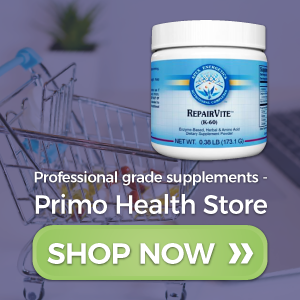 There is a lot that can be done with nutrition and smart supplementation to support the body in healing many of the common chronic ales of our modern world like Type 2 Diabetes, Obesity and High Blood Pressure. The following labs are available to test for their particular focus using their proprietary techniques. They come highly recommended in the Functional Medicine community. 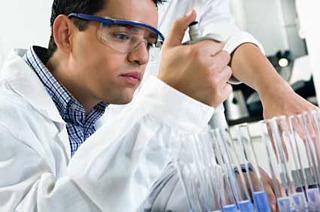 Cyrex Labs - Cyrex™ is a Clinical Immunology Laboratory Specializing in Functional Immunology and Autoimmunity. Cyrex™ offers multi-tissue antibody testing for the early detection and monitoring of today’s complex autoimmune conditions. Cyrex™ develops innovative arrays through continuous collaboration with leading experts in medical research and clinical practice. We use this lab for clients with hard to identify food sensitivities, especially those with suspected gluten sensitivity. Diagnostechs - Diagnos-Techs™ is a pioneer and leader in saliva-based testing. We use this lab for testing male and female hormones and for an adrenal stress index to look for abnormal adrenal rhythms. Abnormal adrenal rhythms can influence many functions of the body including energy production, fat storage and sleep. EnteroLab - We only use EnteroLab for genetic testing in people who are suspect for Celiac Disease. It's helpful to rule out Celiac Disease. 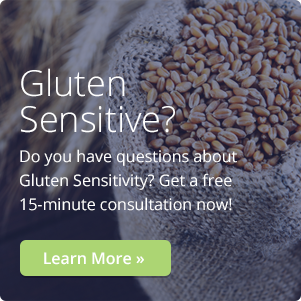 This test may also confirm the need for the client to avoid gluten indefinitely if they are genetically predisposed to Celiac Disease, and if they are already experiencing symptoms related to this autoimmune condition. This test is often done along with the Wheat Proteome Cyrex Panel. Diagnostic Solutions - Diagnostic Solutions Laboratory offers the GI Microbial Assay Plus (GI-MAP). The GI-MAP includes the first comprehensive pathogens assay that is FDA approved, the GPP assay by Luminex Corp. The pathogen targets include bacteria, parasites and another first for the market, viruses! Their testing is very useful in working with clients who have complicated digestive issues and may be suffering from concerns like SIBO (Small Intestinal Bacterial Overgrowth) or other microbial imbalances. Please call (415) 754-3047 if you have questions or would like to order any of the optional testing we offer. We have kits for for all of these lab tests that we send out to our clients with instructions on what to do with the kits and how to provide samples to the laboratory.